Paulo Coelho de Souza was born on August 24,1947 in Rio De Janeiro, Brazil. As a teenager, Paulo wanted to become a writer. When Coelho expressed his ambition to his parents, they felt becoming a writer was not a right occupation as his father was an engineer. When his parents couldn't convince him about choosing a career of a writer - they finally put him to a mental institution. He tried to escape from there, not once but thrice. Later at the age of 20, he was released from the mental institution. To his parent's wish, he enrolled in a law school and dropped out after one year. Till 1960 he lived as a hippie traveling through South America, North Africa, Mexico, and Europe. Before his writing journey began - Coelho worked as a songwriter, composing songs lyrics for Elis Regina, Rita Lee and Brazilian icon Raul Seixas. He became his writing journey in the year 1982. In 1980 Coelho married Christina Oiticica. Paulo Coelho Books: He started his writing career at the age of 35 publishing his first novel "Hell Archives".Later in 1987, he published his second novel "The Pilgrimage" which was about his spiritual awakening in Spain. Though his first two books didn't receive much attention of the people, his third book "The Alchemist" ultimately made him the most successful author worldwide. He subsequently published his next book Brida. Inspirational Writer: Paulo Coelho is regarded as the most successful and inspiring author world around by his fans and followers. He keeps his story simple yet with essential life-changing messages. Most of his books are written from his personal experiences. In one of his interview, he said, the spiritual awakening inside him took place when he walked in a Catholic pilgrimage that inspired him to write the book "The Pilgrimage" and the other books. Note: Except for" Adultery", "The Spy" and "Hippie" we have Added Pdf Books. 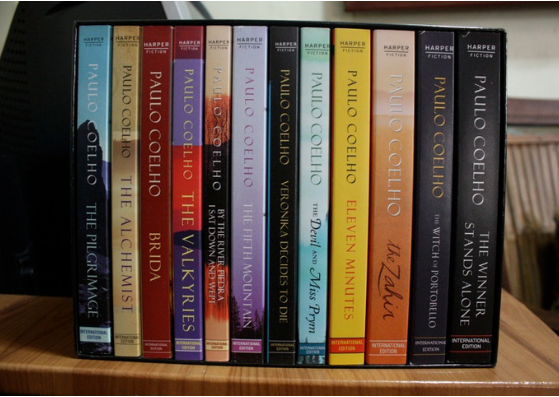 Other Pdf's will be soon updated.The Other Books of Paulo Coelho will be Updated Very soon.